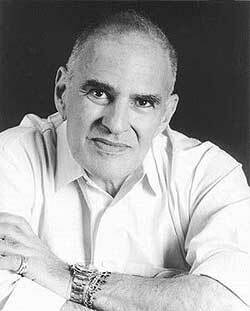 AIDS activist and genius playwright Larry Kramer composes a seething editorial for CNN International. AIDS is about to approach a 30-year mark on being one of the deadliest plagues in the world; Kramer believes the syndrome has been allowed to happen for this long. For some 30-plus years, I have been trying to tell the world where this plague came from and why, and I will continue to do so until I die, too. You see, I simply can't get the memories and the ghosts of just about every friend I had out of my life. And since there is no doubt in my mind that this plague of HIV/AIDS that took them from me was and continues to be allowed to happen, I am duty bound to tell this hideous history as best and as fully as I can. It's the least I can do. That is correct: This plague of HIV/AIDS was intentionally allowed to happen. It still is. Nothing has changed in the intentionality department. Hate has a way of hanging around forever and too often winning out in the end.